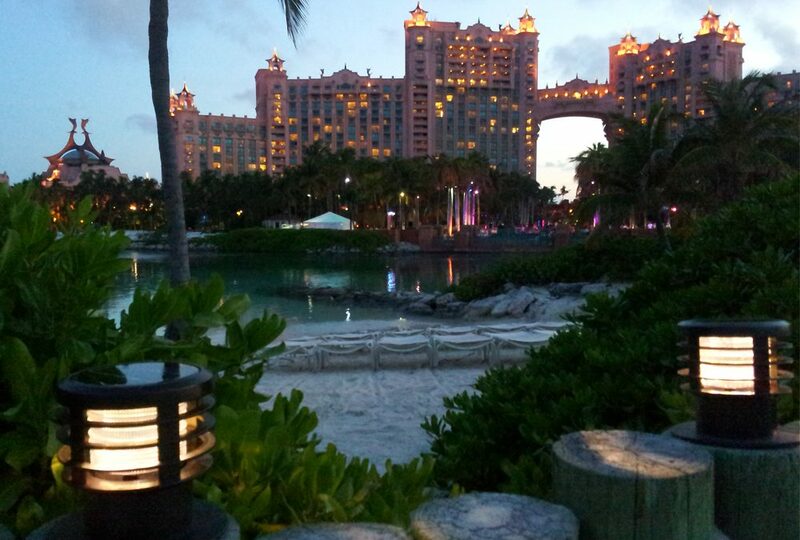 The Atlantis Paradise Island resort in the Bahamas is world-renown for white sand beaches and turquoise waters. It also features extensive waterscapes including salt and fresh water lagoons, pools, marine habitats, water slides and river rides. But while the area is beautiful for people, the conditions at the resort actually make outdoor lighting a challenge. 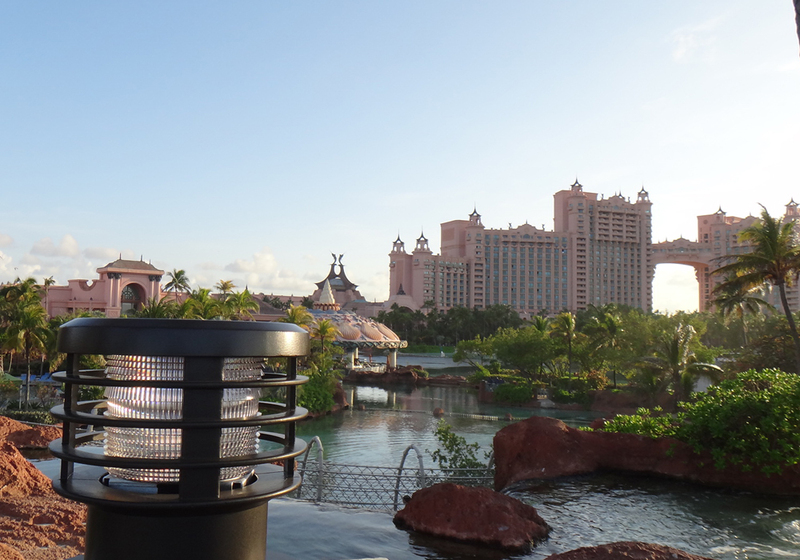 The Atlantis resort had previously used wired lighting for much of its outdoor landscape, but salt water quickly eroded the wires and/or the fixtures themselves. Looking for solutions that avoided wires, the resort then turned to solar. When the resort was looking for an outdoor lighting solution, First Light didn’t actually manufacture a light with the design required. But seeing an opportunity for a wayfinding lighting solution, First Light undertook the task of designing, implementing, building, testing and shipping 300 bollards in a 12 week timeline. The result was our WLB solar bollard. There were several advantages for the resort in opting for solar powered light. It eliminated the need for installing and maintaining wires. In addition, the marine grade, low copper aluminium of the WLB was robust enough to withstand the sometimes harsh Caribbean climate. In terms of performance, the most advanced solar technology and adaptive algorithms means that the lights work regardless of variations in conditions. Since our initial delivery of our WLBs to Atlantis, we’ve continued to improve upon on our design and the technology in it. 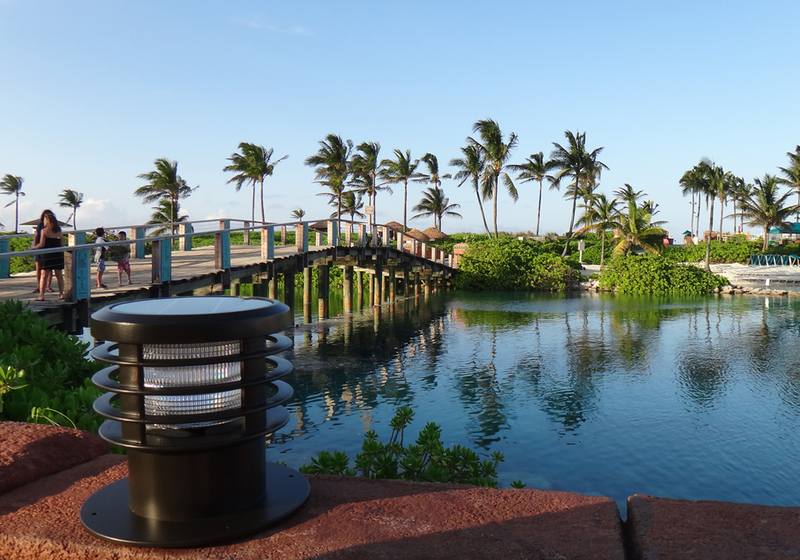 The resort has made several more orders to light even more of the resort with reliable, cost-effective light.